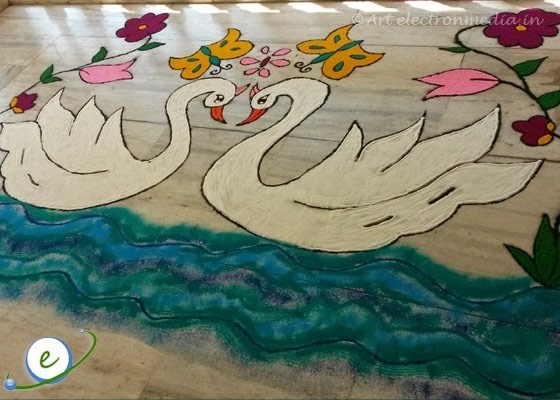 Another beautiful Swan Design Rangoli contributed by Jyoti Mulani. 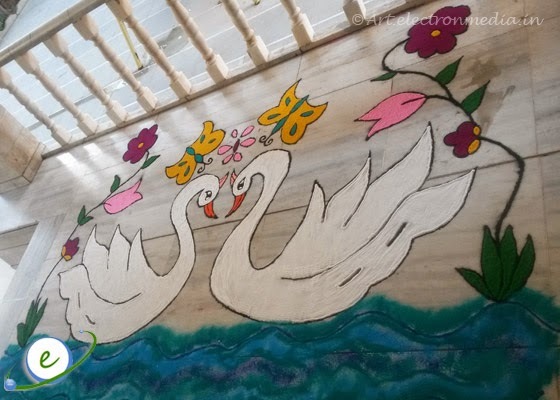 Beautiful two swans are drawn side by side which is swimming in a pond. The water effect is created using gradient color to show more depth to the design. Plants and flowers are decorated around it. 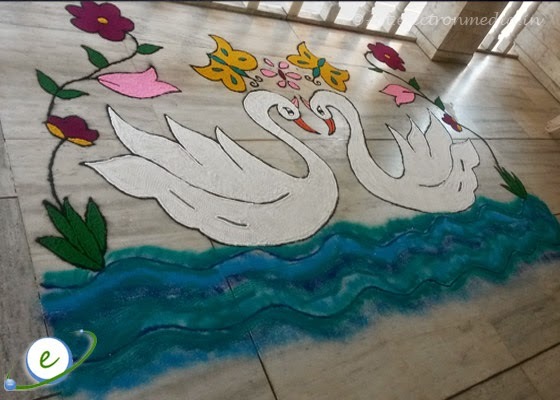 Embellish with butterfly design on top of swan rangoli to enhance more design value.